Egypt’s Royal Jewelry Museum got too many beautiful items and things that will make anyone blogger or journalist or photojournalist wonder which item or thing to post from it first. Located in Alexandria, the museum got beautiful things to share whether its beautiful architecture or its history or its content from items that used to be owned by members of the Mohamed Ali Royal Family. 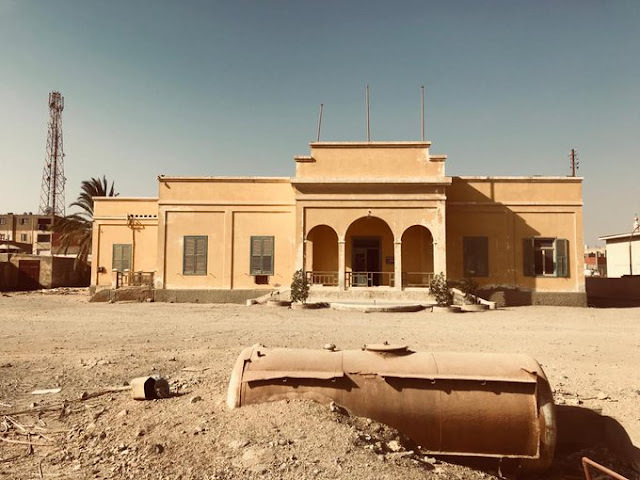 According to official statements, the Museum hosts 11,500 pieces or items previously owned by the members of the Mohamed Ali Royal Family that ruled Egypt from 1805 till 1952. 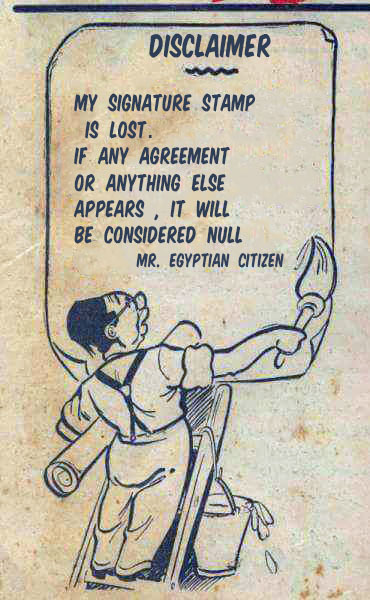 In May, Egyptian Chronicles presented a small post featuring the royal orders in the Museum. Now, this post will feature a beautiful small collection of watches at that Museum. 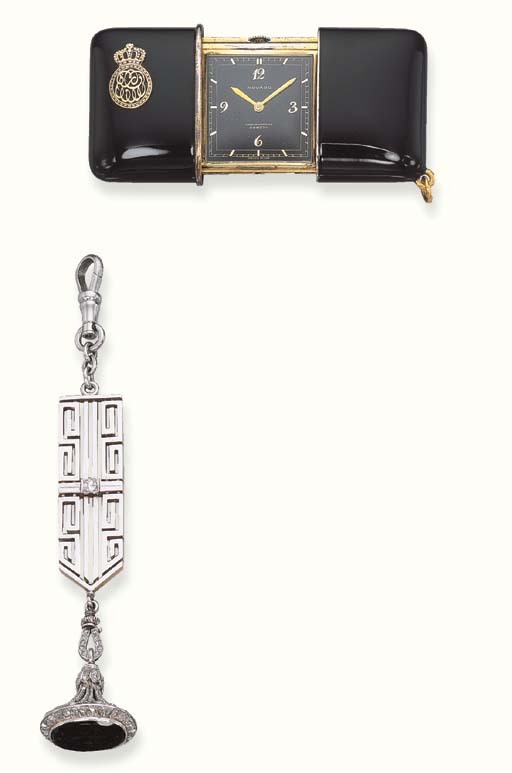 Like for example, this beautiful watch owned once by King Farouk’s first wife Queen Farida. 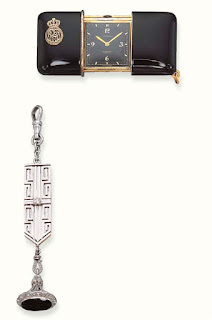 Despite its black strap, that watch is encrusted with diamonds and emeralds. That watch overshadowed the other watch on the left made off the leather strap and big golden body. If you remember one of King Farouk’s watches, a-Patek Philippe watch was sold in a Christie’s auction in Dubai in March for US$ 912,500 ( LE 16.3 Million) to a phone buyer. 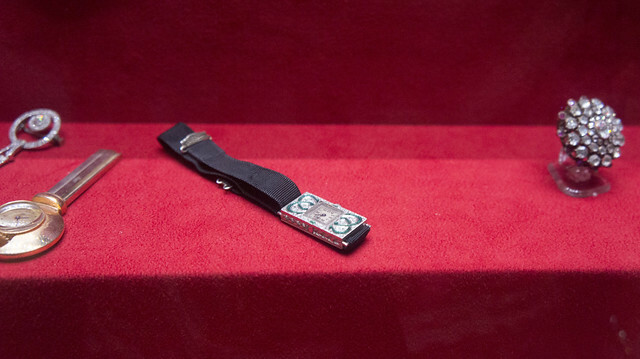 Most of the watches owned by members of the Egyptian Royal family had a similar fate. The few survived and made it to that small museum in Alexandria. 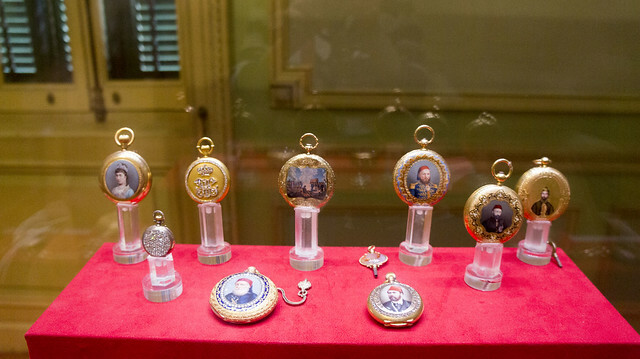 There are not too many wrist watches in the museum but there is a nice collection of gold pocket watches. Some of those golden watches were made in the 19th century for a number of Egypt’s rulers and their wives. 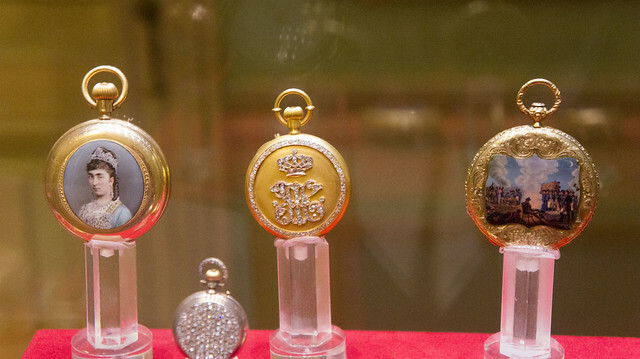 All of those watches were custom-made for the Egyptian Royal family in Europe. I am trying to make out what is written on that watch but I have failed so miserably. That beautiful painted golden watch was owned by Ellhamy Hussein Pasha. His first name was encrusted by diamonds on the watch. Ellhamy Hussein Pasha was Princess Shivakiar’s fifth husband. Princess Shivakiar was King Fouad I or to be accurate Prince Fouad’s first wife. Princess Shivakiar had a marvelous collection of jewelry at the Museum that deserves a standalone post. 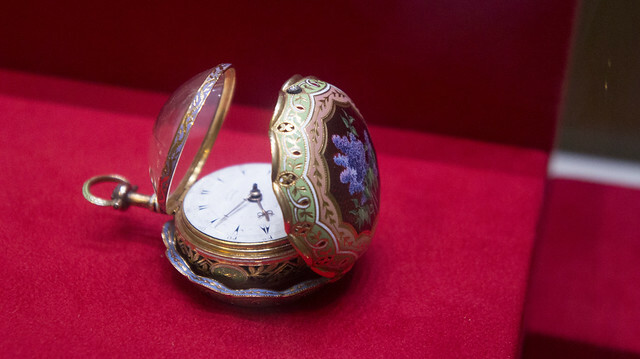 Here is another beautiful pocket painted golden watch. The kind of precession in drawing and the fact that it is keeping its beauty after maybe a hundred years is amazing. 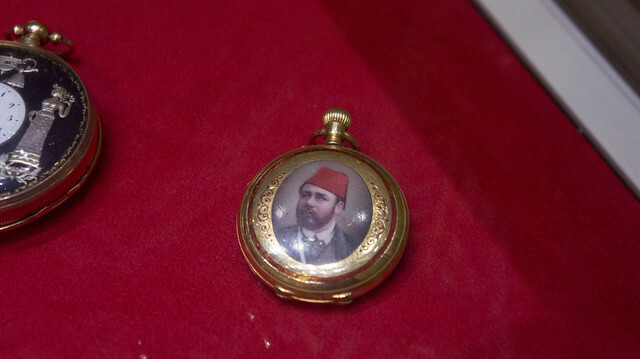 Here is Khedive Tawfik’s Golden pocket watch with his face painted on it. Needless to say, we considered Khedive Tawfik as the worst ruler of Egypt in the modern history as he welcomed and supported the British occupation to the country ousting his father Khedive Ismail. 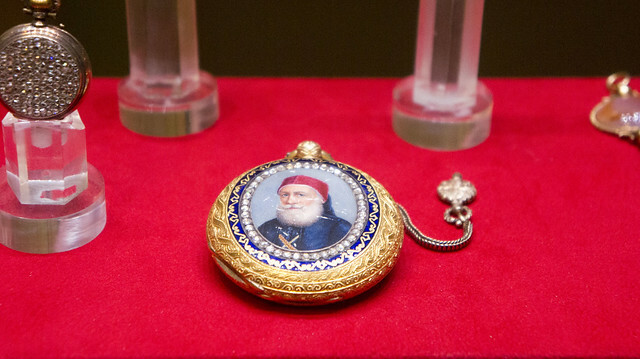 Here is Ibrahim Pasha’s Golden watch. 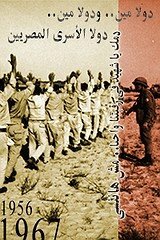 I think the effect of time is shown in the painting depicting the Egyptian army’s greatest commander in the modern age. 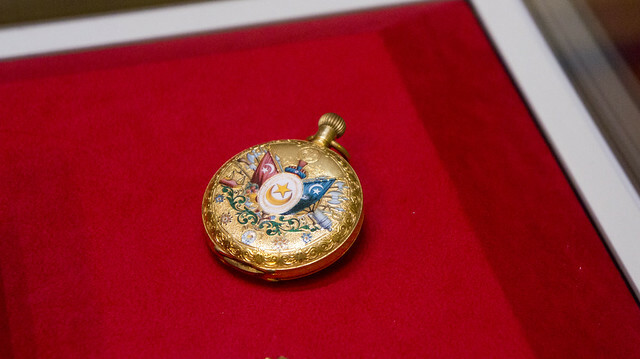 Those two golden pocket watches are also beautiful. 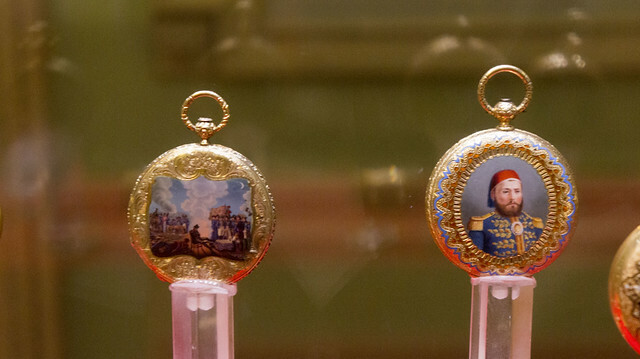 On the left, the painting on the golden watch depicts a scene from Napoleon Bonaparte’s wars. While on the right, there is a beautiful gold watch that once was owned by Khedive Saeed of Egypt with his face painted on it. 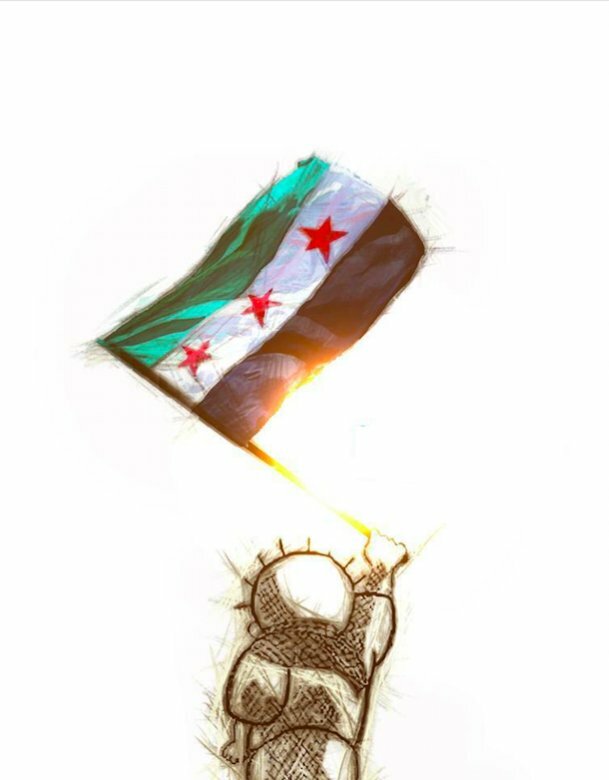 I do not know the exact history of that golden pocket watch but it got both Turkey or Ottoman Empire flag and Egypt’s flag on it. I do not remember who owned that big red pocket watch but it is so big to the level I can’t imagine how to attached it the clothes easily. 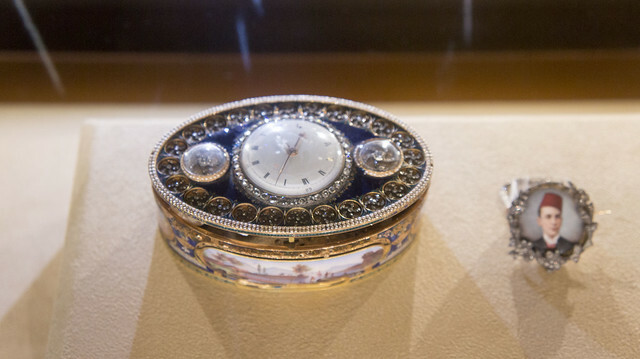 and last in our collection, that snuffbox encrusted with diamonds and a clock. I think that was from Sultana Melek’s collection. 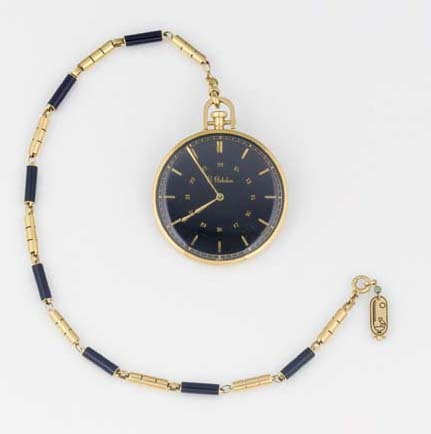 In May 2002, Christie’s sold in Geneva a group of an Art Deco Jewelry in Switzerland for CHF 8,365 “LE 150,737” including a-Movada Ermento-watch owned by King Farouk. 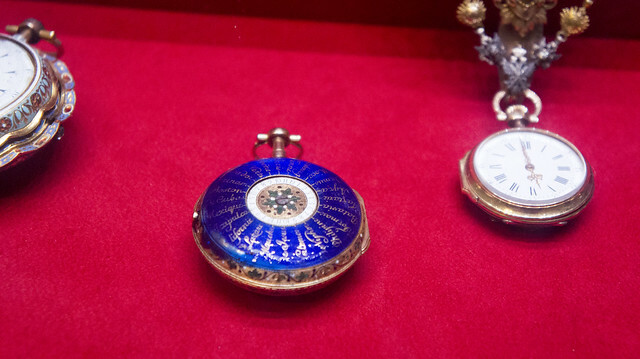 In November of the same year, Christie’s sold another pocket watch in London mostly probably was owned by King Farouk. It was made by Swiss Gübelin circa 1940. The golden watch with the Egyptian crown and "F"
A golden open faced pocket watch, it has the Egyptian crown and letter “F” on its back. 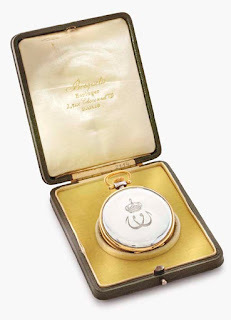 Three years later in May 2005, Christie’s sold in Geneva also a pocket watch or rather a dress watch previously owned by King Fouad I for CHF 40,800 “LE 734,872”. Is it Farouk or Fouad? Made specifically for King Fouad I by Paris-based Breguet luxury watches house, the watch was made of 18k gold and silver carrying the emblem of either King Fouad I or King Farouk. 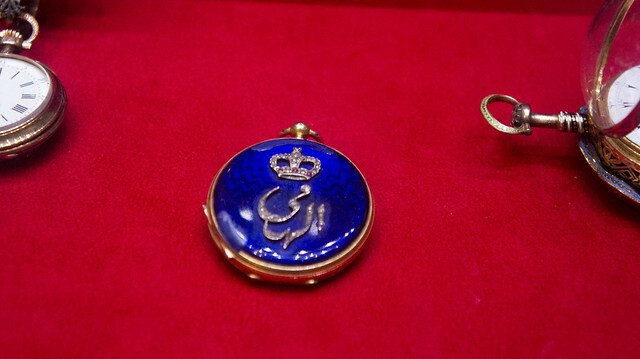 Christie’s says that it is an emblem of Farouk but I believe it is his father’s. It is unclear how that watch ended to be under the hammer in an auction house in Geneva in 2006. Those are few examples of watches owned by the former ruling family of Egypt. Three things for sure one must remember when he or she reads this post, the members of the Mohamed Ali Royal Family loved their watches to be fancy and the Post-1952 coup presidents and their government could not keep the Egyptian National history’s heritage as they should. 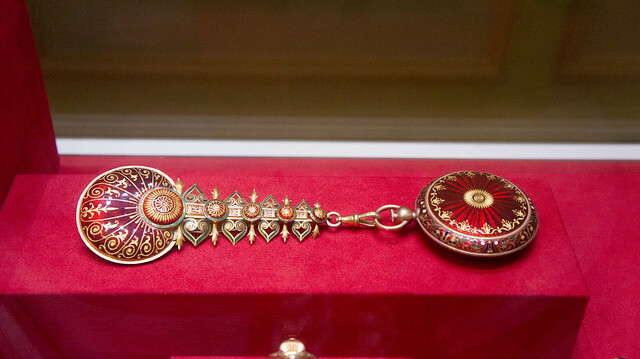 There are more Egyptian Royal family’s watches out there in the world when they should be exhibited in that small palace turned in to a museum in Alexandria. The blue watch has what I believe are the names of timezones (or the equivalent term of the time). I see Nippon (Japan), Philippines, Formosa (Taiwan), and Batavia (today in Indonesia). Perhaps the writing depicts the various times of day in a certain language?